This is part Three of Three posts in a series on the history of Mercy Ministry in the Christian Church. Part One is accessible here. Part Two can be found here. After introducing the topic and giving a brief overview of Mercy Ministry in the Early Church, Patristic Era, Medieval Era and Reformation Era, today's post emphasizes the Modern era, bringing the discussion up to the present time. As a reaction to the religious wars of the Reformation Era, Deism began to rise and people began to try to demonstrate that non-Christians could be ethical, too. Divisions began to form between Church and State, with none starker than the division in France due to the French Revolution. When the church and state split, the larger political organization rose as a more significant participant in what had previously been the church’s role in dealing with physical needs. The roots of modern evangelicalism are in British non-conformist religion. The four central aspects of early evangelicalism were conversionism, crucicentrism, biblicism and activism. The key for today’s discussion is activism, which refers to the belief that the internal change brought about by gospel conversion would be worked out in external application of the gospel to life. It was this tendency toward activism that led William Carey to build businesses to improve the local economy in India, end injustices like the burning of widows, and start schools instead of only preaching the gospel. This also drove people like William Wilberforce and John Newton to fight for the abolition of slavery. It about the same time as the rise of evangelicalism that the higher critical approach to Scripture was developed. Faith became subjective, the integrity of the Bible was frequently questioned by Friedrich Schleiermacher, Julius Wellhausen, and others. Deism became increasingly accepted through the work of individuals like Thomas Paine. In summary, people began to doubt the central truths of Christianity, but retained their desire for the works of the Christian religion. As a result, mercy ministry began to take precedence over doctrine. Later, liberal theologians such as Walter Rauschenbusch began to promote the idea that the Kingdom of God was a condition of earthly justice that had no true doctrinal content. Unfortunately, the morals of the church cannot stand without a doctrinal foundation. Individuals like J. Gresham Machen, B. B. Warfield, and Charles Hodge resisted the discrediting of Scripture. Others reacted more strongly against the doctrinal decay of the theological liberals by rejecting the social aspect of ministry. This led to the rise of fundamentalism, particularly in the United States, which promoted doctrinal truth and evangelism without significant concerns for mercy ministry. This overreaction was a divergence from the central traditions of Christianity and the resurgence of an interest in mercy ministry among doctrinally conservative Christians should be seen as a course correction not an innovation. 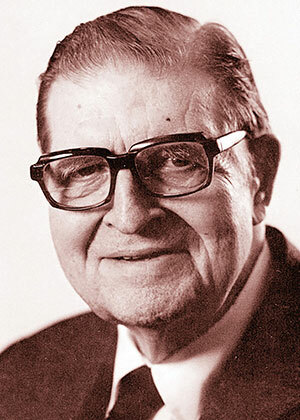 Carl F. H. Henry’s brief but significant book, The Uneasy Conscience of Modern Fundamentalism, speaks about the loss of social ministry among theologically fundamental Christians: “The social reform movements dedicated to the elimination of such evils do not have the active, let alone vigorous, cooperation of large segments of evangelical Christianity.” That reality began to change in the mid Twentieth Century as some theologians began to shift the language from doing missions (which focus only or mainly on saving souls) to mission (which focuses on participating in God’s redemptive work in all creation). Recently there has been an explosion in conferences, sermons, and books on the topic of Mercy Ministry. Evangelicalism has largely recovered its vision for working out the implications of the gospel in the world. Our task on our External Journey, with this cloud of witness in history behind us, is proclaim the gospel while we are serving them. Or, to enable them to hear our proclamation because we have met their physical needs. David Bebbington, Evangelicalism in Modern Britain: A History from the 1730s to the 1980s (New York: Routledge, 1989), 5. Carl F. H. Henry, The Uneasy Conscience of Modern Fundamentalism (Grand Rapids, Mich.: Eerdmans, 1947), 3. Tony Merida, Ordinary: How to Turn the World Upside Down (Nashville, Tenn.: B & H, 2015), 29.